Elder Scrolls IV: Oblivion is a first-person perspective fantasy computer role-playing game set in a vast 3D world with an open-ended storyline that allows the player the freedom to pursue the main quest, side quests, or simply explore the world. The game is set in a different geographic location from the previous in the series (Elder Scrolls III: Morrowind) and in general the architecture and wildlife is more medieval and real-world. The fantasy game art is vastly improved, however, and at the time of its release wowed the world with its realism and attention to physics in its interactivity. This page shows Mythic Dawn Armor in the game. This is part of an extensive fantasy art / game art gallery of armor in Elder Scrolls IV: Oblivion. For an overview of the armor gallery, click here. 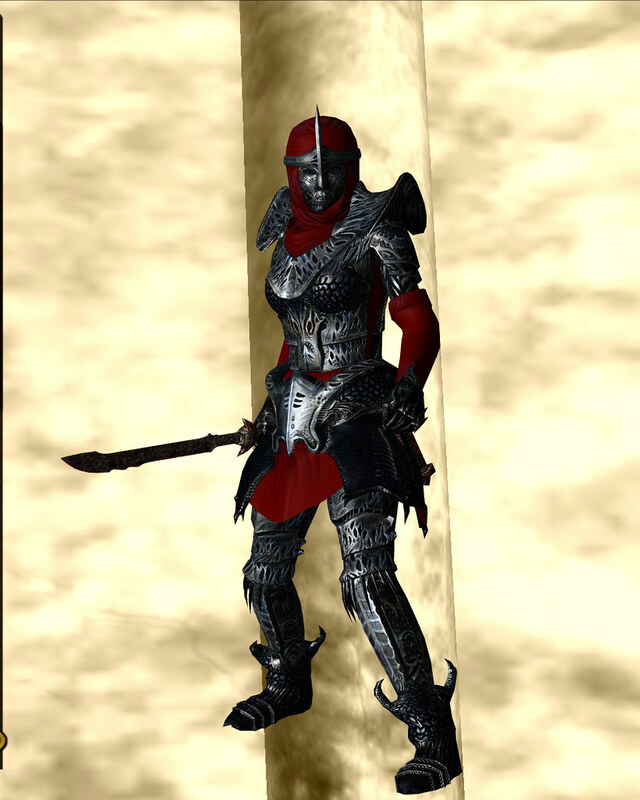 The Mythic Dawn armor is a conjuration that agents of the Mythic Dawn cult use. 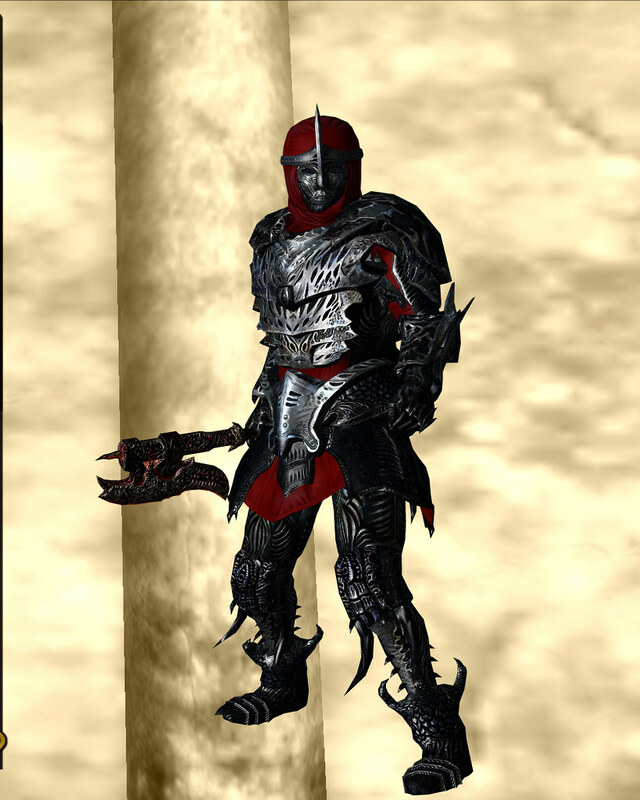 This spells is not normally available to anyone else, including the player/protagonist, and therefore this armor is not available except to the Mythic Dawn.